Colossians 4:1-18 (Part of the Colossians: The Mystery of Christ in You series). Preached by Pastor Nathan Huston on Sep 7, 2014 (Sunday Morning). Colossians 3:15-4:1 (Part of the Colossians: The Mystery of Christ in You series). Preached by Pastor Nathan Huston on Aug 31, 2014 (Sunday Morning). Colossians 3:1-14 (Part of the Colossians: The Mystery of Christ in You series). Preached by Pastor Nathan Huston on Aug 24, 2014 (Sunday Morning). Colossians 2:10-23 (Part of the Colossians: The Mystery of Christ in You series). Preached by Pastor Nathan Huston on Aug 17, 2014 (Sunday Morning). Colossians 2:1-10 (Part of the Colossians: The Mystery of Christ in You series). Preached by Pastor Nathan Huston on Aug 3, 2014 (Sunday Morning). Colossians 1:15-29 (Part of the Colossians: The Mystery of Christ in You series). Preached by Pastor Nathan Huston on Jul 27, 2014 (Sunday Morning). Colossians 1:1-14 (Part of the Colossians: The Mystery of Christ in You series). Preached by Pastor Nathan Huston on Jul 20, 2014 (Sunday Morning). Colossians 4:15-18 (Part of the Colossians: The Mystery of Christ in You series). Preached by Pastor Nathan Huston on Jul 6, 2014 (Sunday Morning). Colossians 4:10-14 (Part of the Colossians: The Mystery of Christ in You series). Preached by Pastor Nathan Huston on Jun 29, 2014 (Sunday Morning). Colossians 4:7-9 (Part of the Colossians: The Mystery of Christ in You series). Preached by Pastor Nathan Huston on Jun 22, 2014 (Sunday Morning). Colossians 4:6 (Part of the Colossians: The Mystery of Christ in You series). Preached by Pastor Nathan Huston on Jun 15, 2014 (Sunday Morning). Colossians 4:5 (Part of the Colossians: The Mystery of Christ in You series). Preached by Pastor Nathan Huston on Jun 1, 2014 (Sunday Morning). Colossians 4:3-4 (Part of the Colossians: The Mystery of Christ in You series). Preached by Pastor Nathan Huston on May 25, 2014 (Sunday Morning). Colossians 4:2 (Part of the Colossians: The Mystery of Christ in You series). Preached by Pastor Nathan Huston on May 18, 2014 (Sunday Morning). Colossians 4:1 (Part of the Colossians: The Mystery of Christ in You series). 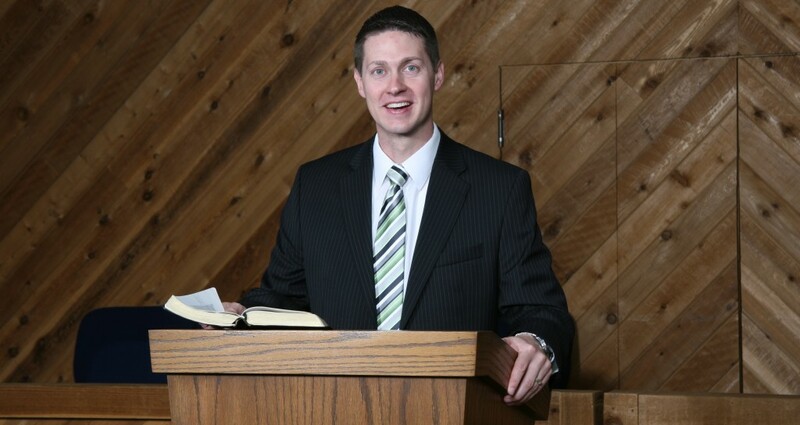 Preached by Pastor Nathan Huston on May 11, 2014 (Sunday Morning). Colossians 3:22-25 (Part of the Colossians: The Mystery of Christ in You series). Preached by Pastor Nathan Huston on May 4, 2014 (Sunday Morning). Colossians 3:21 (Part of the Colossians: The Mystery of Christ in You series). Preached by Pastor Nathan Huston on Apr 13, 2014 (Sunday Morning). Colossians 3:20 (Part of the Colossians: The Mystery of Christ in You series). Preached by Pastor Nathan Huston on Apr 6, 2014 (Sunday Morning). Colossians 3:19 (Part of the Colossians: The Mystery of Christ in You series). Preached by Pastor Nathan Huston on Feb 23, 2014 (Sunday Morning). Colossians 3:17 (Part of the Colossians: The Mystery of Christ in You series). Preached by Pastor Nathan Huston on Feb 9, 2014 (Sunday Morning). Colossians 3:16 (Part of the Colossians: The Mystery of Christ in You series). Preached by Pastor Nathan Huston on Feb 2, 2014 (Sunday Morning). Colossians 3:15 (Part of the Colossians: The Mystery of Christ in You series). Preached by Pastor Nathan Huston on Jan 26, 2014 (Sunday Morning). Colossians 3:13-14 (Part of the Colossians: The Mystery of Christ in You series). Preached by Pastor Nathan Huston on Jan 19, 2014 (Sunday Morning). Colossians 3:12 (Part of the Colossians: The Mystery of Christ in You series). Preached by Pastor Nathan Huston on Jan 12, 2014 (Sunday Morning). Colossians 3:8-11 (Part of the Colossians: The Mystery of Christ in You series). Preached by Pastor Nathan Huston on Jan 5, 2014 (Sunday Morning). Preached by Pastor Nathan Huston on Nov 24, 2013 (Sunday Morning). Colossians 3:5-7 (Part of the Colossians: The Mystery of Christ in You series). Preached by Pastor Nathan Huston on Nov 3, 2013 (Sunday Morning). Colossians 3:1-4 (Part of the Colossians: The Mystery of Christ in You series). Preached by Pastor Nathan Huston on Oct 27, 2013 (Sunday Morning). Colossians 2:20-23 (Part of the Colossians: The Mystery of Christ in You series). Preached by Pastor Nathan Huston on Oct 20, 2013 (Sunday Morning). Colossians 2:16-17 (Part of the Colossians: The Mystery of Christ in You series). Preached by Pastor Nathan Huston on Oct 6, 2013 (Sunday Morning). Colossians 2:13-15 (Part of the Colossians: The Mystery of Christ in You series). Preached by Pastor Nathan Huston on Sep 15, 2013 (Sunday Morning). Colossians 2:12-13 (Part of the Colossians: The Mystery of Christ in You series). Preached by Pastor Nathan Huston on Sep 8, 2013 (Sunday Morning). Colossians 2:11 (Part of the Colossians: The Mystery of Christ in You series). Preached by Pastor Nathan Huston on Sep 1, 2013 (Sunday Morning). Colossians 2:10 (Part of the Colossians: The Mystery of Christ in You series). Preached by Pastor Nathan Huston on Aug 25, 2013 (Sunday Morning). Colossians 2:4-7 (Part of the Colossians: The Mystery of Christ in You series). Preached by Pastor Nathan Huston on Aug 4, 2013 (Sunday Morning). Colossians 2:1-3 (Part of the Colossians: The Mystery of Christ in You series). Preached by Pastor Nathan Huston on Jul 28, 2013 (Sunday Morning). Colossians 1:25-27 (Part of the Colossians: The Mystery of Christ in You series). Preached by Pastor Nathan Huston on Jul 21, 2013 (Sunday Morning). Colossians 1:24-29 (Part of the Colossians: The Mystery of Christ in You series). Preached by Pastor Nathan Huston on Jul 14, 2013 (Sunday Morning). Colossians 1:21-23 (Part of the Colossians: The Mystery of Christ in You series). Preached by Pastor Nathan Huston on Jul 7, 2013 (Sunday Morning). Colossians 1:18-20 (Part of the Colossians: The Mystery of Christ in You series). Preached by Pastor Nathan Huston on Jun 23, 2013 (Sunday Morning). Colossians 1:15-17 (Part of the Colossians: The Mystery of Christ in You series). Preached by Pastor Nathan Huston on Jun 9, 2013 (Sunday Morning). Colossians 1:10-12 (Part of the Colossians: The Mystery of Christ in You series). Preached by Pastor Nathan Huston on May 5, 2013 (Sunday Morning). Colossians 1:9-10 (Part of the Colossians: The Mystery of Christ in You series). Preached by Pastor Nathan Huston on Apr 21, 2013 (Sunday Morning). Colossians 1:5-8 (Part of the Colossians: The Mystery of Christ in You series). Preached by Pastor Nathan Huston on Apr 14, 2013 (Sunday Morning). Colossians 1:1-2 (Part of the Colossians: The Mystery of Christ in You series). Preached by Pastor Nathan Huston on Apr 7, 2013 (Sunday Morning).